248 pages | 13 B/W Illus. Providing a crucial understanding of how globalization impacts on the development of Chinese businesses, this book analyzes the unprecedented changes in Chinese ethnic business due to the process of globalization, specifically economic globalization, in the key receiving countries of the US, Australia and Canada. Focusing on the main themes of economic globalization and Chinese community development, transnational linkages, local urban structures, homogenization and place attachment, the team of internationally known contributors place the subject of Chinese ethnic business in the bigger picture of ethnic businesses and globalization. 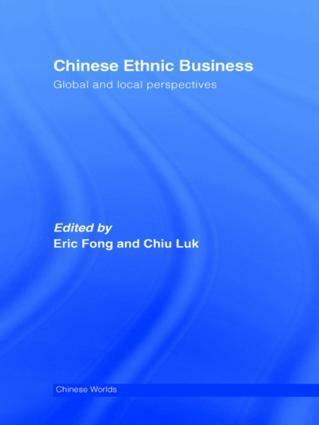 Including excellent methodology such as ethnographic studies, historical analysis, geographic studies and statistical analysis, this volume makes an important contribution to the field of ethnic businesses.